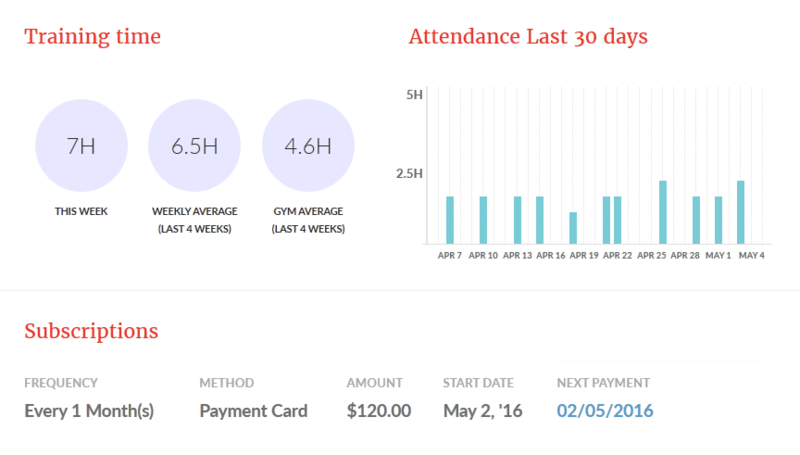 Manager-friendly software that simplifies and automates your gym operations. Start your free 30-day trial! 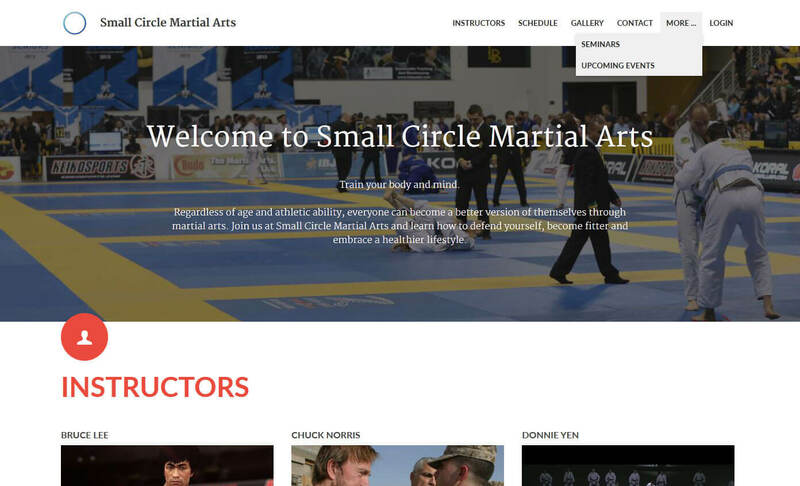 Martial Arts on Rails is the perfect program for any martial arts gym. The interface is extremely user friendly, and what was once time consuming tasks are now a breeze with this program. Their tech support has been very prompt with answering questions and resolving any issues - this has been the best support of any software I have worked with by far. Martial Arts on Rails has been a blessing for our gym and I would highly recommend it to any gym owner. 5 Stars all day! This software is very useful for martial arts gyms. I run a grappling gym, and the features for this software are fantastic. Further, the developer is extremely responsive, and walked me through the entire process from start to finish. 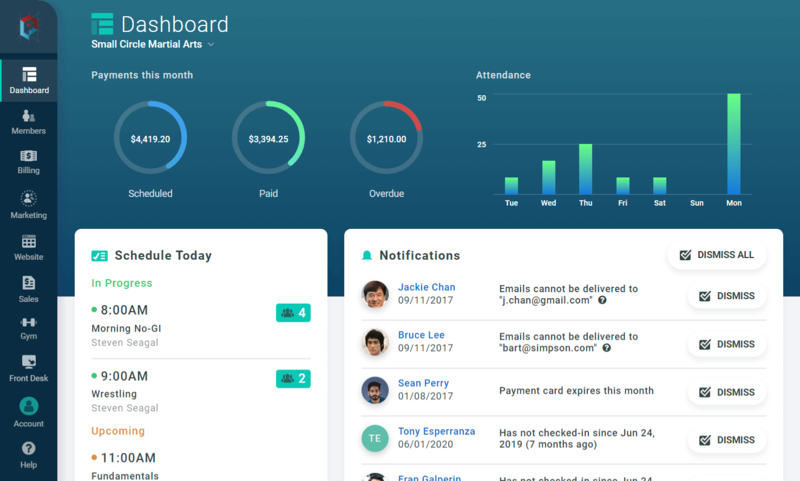 He is also consistently updating his product, and incorporates feedback from users to make Martial Arts on Rails better every month. I would recommend this software to anyone! After three years of dodging the bigger companies peddling their software, my partner and I decided to give MA on Rails a try. Any issues or questions we had were answered promptly and any feedback we have was immediately put to use to make the software truly compatible for our gym. Currently we are using MA on rails at both of our locations and are very happy with the product and service provided. Member Email alerts on new bills, expiring payment cards, overdue payments and more. Includes instructors' information, photo gallery, gym schedule, custom content pages and more. Make data-driven business decisions with summaries and graphs of income, attendance, leads and more. Real-time view of attendance for each training session. Alerts and notifications about members and billing. Breakdown and summaries of all member acquisition channels. Referral program tracking and rewards. 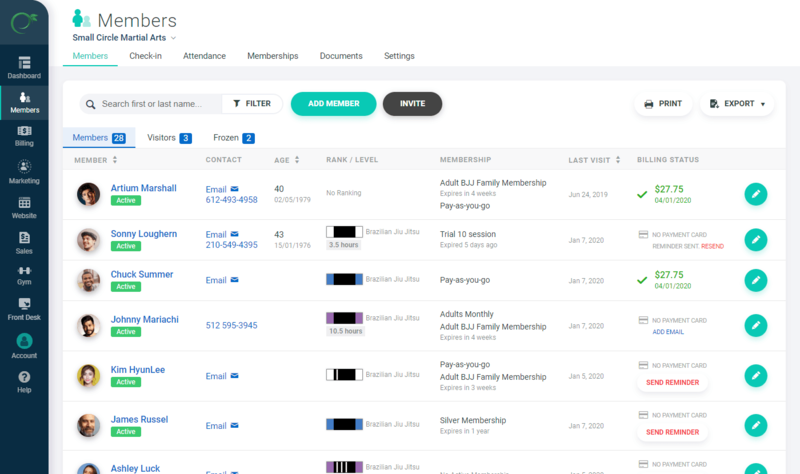 Mass Email messaging to members and leads. Lead generation through the gym website. Gym branded online portal for members. Members can update their personal information online. 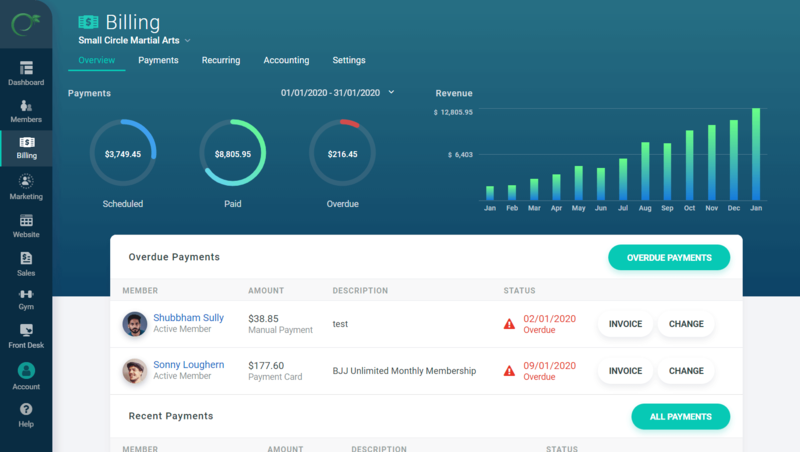 Online bill payment and overdue payment resolution. 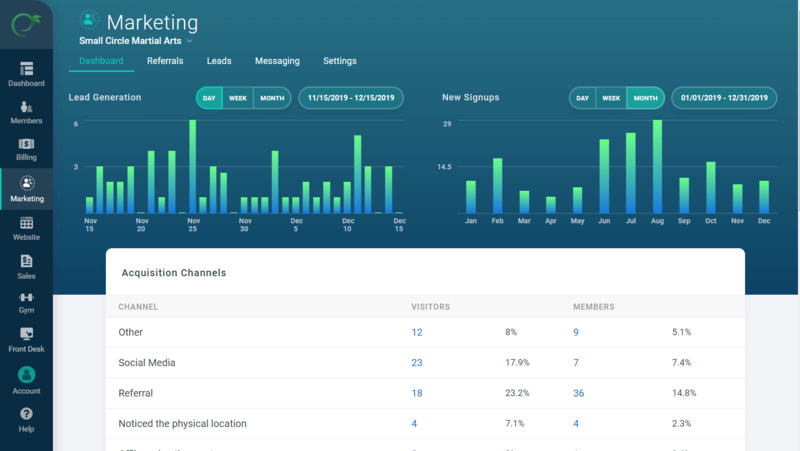 Personal attendance data and statistics for members. Whether at your front desk, at home or a way to a seminar, you always have full access to your gym management tools. 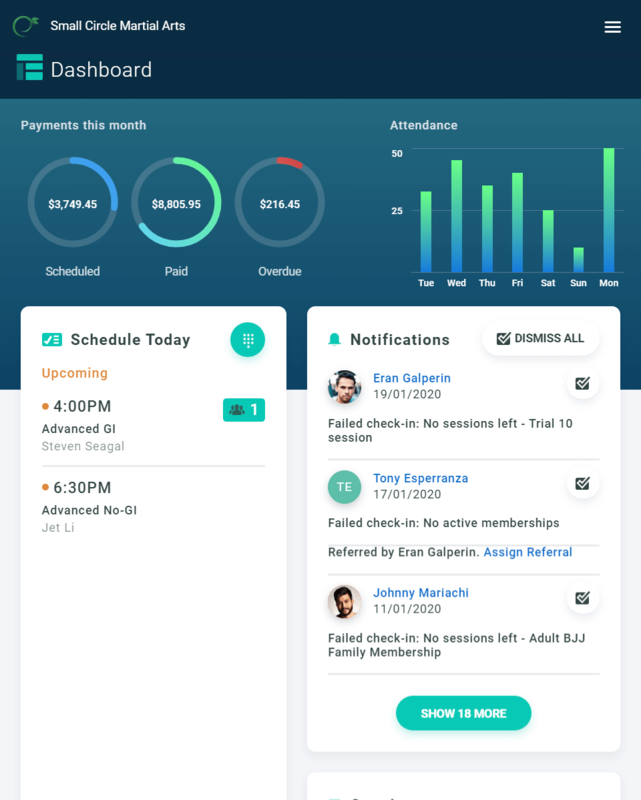 Onboard new members, resolve billing issues and track your gym revenue and attendance on your laptop, tablet or mobile device. Can I use Quickbooks with your system? Yes, you can. You can export member payments and point-of-sale transactions into Quickbooks format on demand at any time. We support three gateways for payment processing - Stripe, Square and Authorize.net. You do not need an account to get started, an account will be created for you as part of the billing set up. Can I add videos and custom content on the website you provide? In addition to the structure we provide you on the gym website - including gym schedule, instructors, location and gallery - you can create custom content pages, similar to what you can do with popular content systems such as WordPress. You can add videos, information about events and seminars, and more.